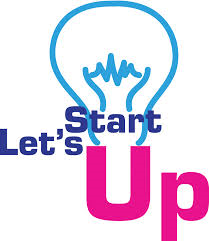 Idea Startup is honored to embrace the first Business Idea Competition “Let’s Start UP!” – LSUP made by ESN and AGM Milano, we will be the Official Media Partner of this international event and will take track about its future develop. Well, how does it work? First of all, what is ESN? ESN is an international power based on the “students helping students” principle. The association is extremely widespread in Europe, but it takes care of incoming students from all over the world. So their position is great to become a bridge between international young people who want to get involved and our partners, representatives of the business world at the highest levels. ESN believes exchange students are more dynamic, flexible and, what is more, talented and resourceful. Creative and ready to undertake new experiences, the “Erasmus generation” guy is the perfect prototype of the new startupper. The organization wondered “why don’t let this talent meet the support of professionals and partners”? Thus, they organized a contest for start-up ideas : Let’s Start Up (LSUP). The LSUP projects aims at rewarding the best business idea and creating the right environment for brilliant exchange students and former exchange students to mix startup ideas from all over the Europe with entrepreneurial minds. This project is addressed to all the students and/or graduates, who are attending and/or already attended an international mobility program. All the countries participating to an international mobility program are welcome to take part of this project. Exchange/Erasmus Students, Double Degree Students, International Students, and Ph.Ds Students can apply. Meetings with executives and startuppers – collect precious advices to undertake a new business. Sessions on “elevator pitch” – learn how to and create and discuss your own with professors, investors, entrepreneurs and professionals. Do your best and catch the interest of investors and a new start-up will be born! LSUP is a step towards European cultural enrichment and business improvement. This is the time for you to apply to our call for ideas: Let’s Start UP! it is only till June 19. Related Items:AGM Milano, ESN, idea startup, international startup competition, international students, Let's start up!